Hundreds of volunteers turn out for Hands On Charlotte’s annual MLK Service Day. 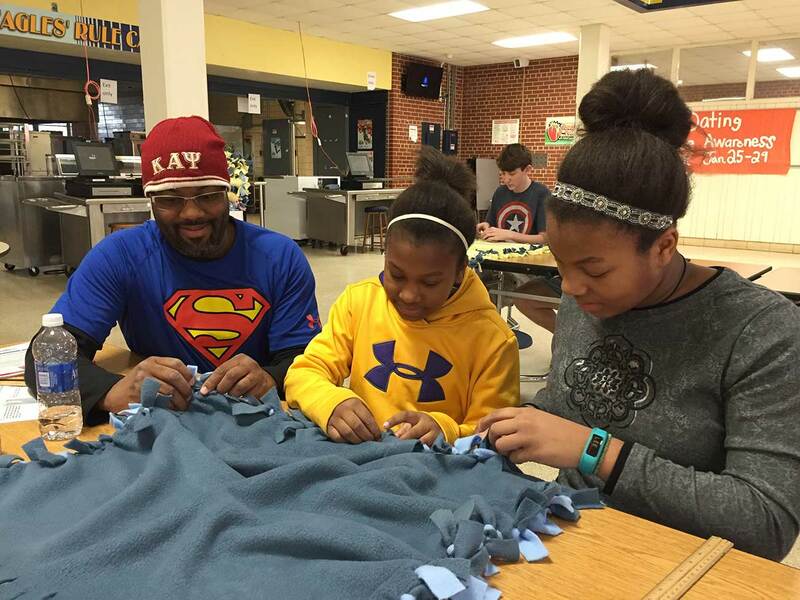 We love the beautiful blankets that were made to add to our bundles. 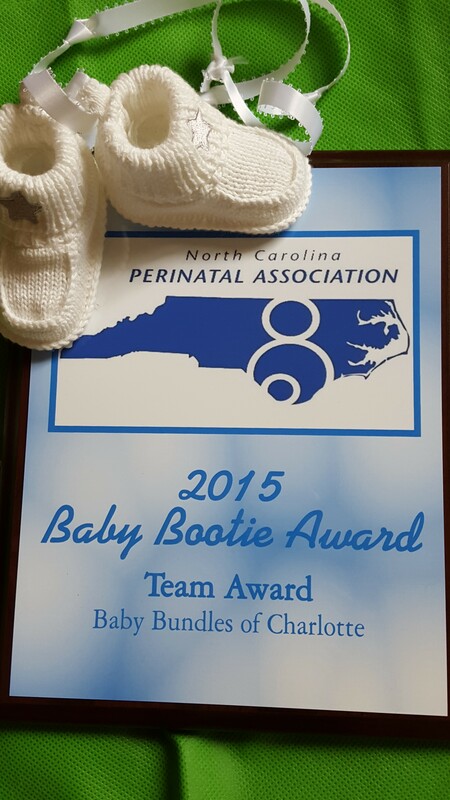 At the NC Perinatal Association’s Annual Conference, September 21, 2015, Baby Bundles received the Baby Bootie Team Award presented in recognition of a regional or local team for their outstanding achievements in work to improve the health status of mothers and babies. 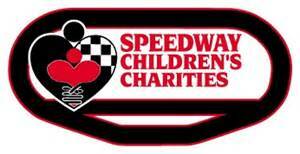 Other recipients were Nurse-Family Partnership and SAFEChild out of Raleigh. 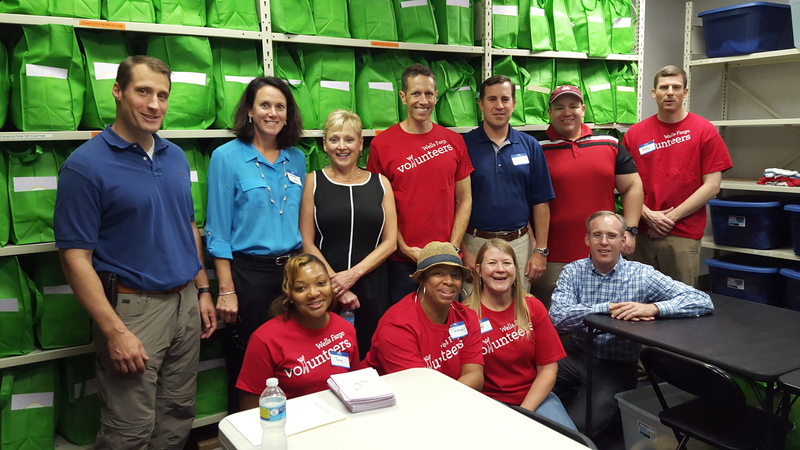 After 2 days at the warehouse during the Wells Fargo Day of Caring, our shelves went from empty to overflowing! 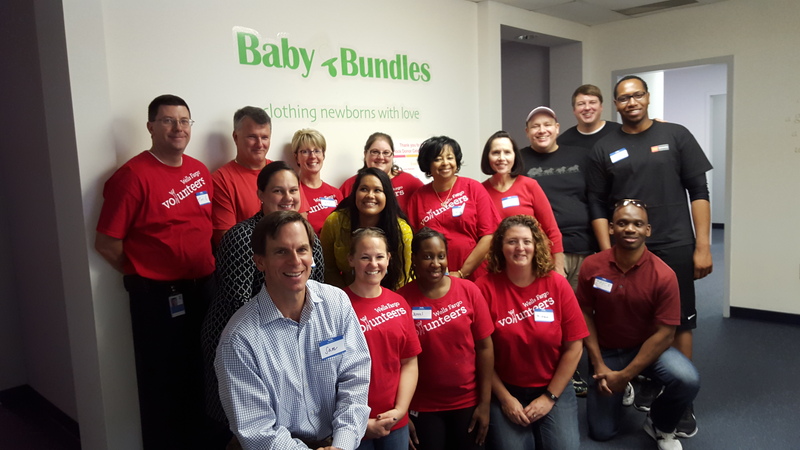 Thank you to all of the Wells Fargo volunteers who donated their time or baby clothes to help create 168 Bundles! 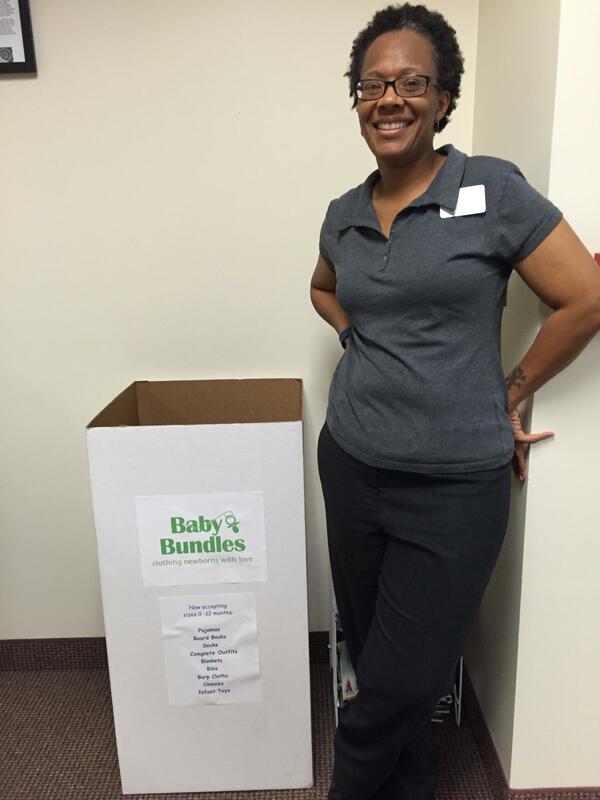 Our newest location for donations is at 601 E 5th St #480, Charlotte (Uptown) at Children Family Services. That’s Laurentia Gurley who works at Nurse-Family Partnership, one of our community partners.